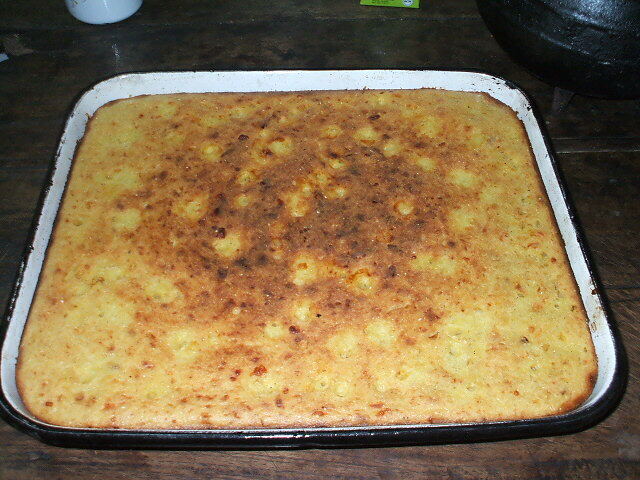 Sopa paraguaya is a traditional Paraguayan food. Literally meaning "Paraguayan soup," sopa paraguaya is similar to corn bread. Corn flour, pig fat, cheese and milk or whey are common ingredients. It is a spongy cake rich in caloric and protein content. To make a traditional sopa paraguaya, you would need ingredients such as onion, water, thick salt, pork fat, eggs, fresh cheese, corn flour, curd or fresh milk, and milk cream. 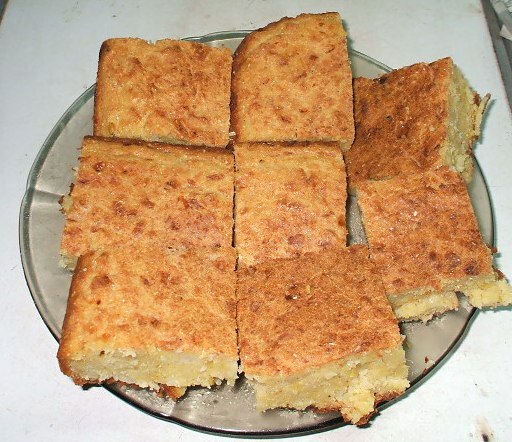 Other varieties, such as "sopa paraguaya de estancia" use almost the same ingredients, only varying the quantities so as to vary the consistency and make the dish more or less greasy, according to taste. 1. The onion is thinly sliced, boiled in salt water for about 10 minutes in a sauce pan, then allowed to cool. 2. The pork fat is whipped and the eggs are added one by one, continuing the whipping. 3. The crumbled cheese is then added. 4. The onions with the boiled water are added to the mixture, and the corn flour is slowly added, alternating with the milk and the cream. 5. The combination is mixed until smooth then poured into a greased (with butter or oil) container to be baked in a hot oven (200 degrees Celsius) for about an hour.